Ben is a Research Analyst at EQ Research. He specializes in distributed solar policies and trends, including net metering and rate design issues. He manages the RPS Navigator service and contributes to the Policy Vista Legislative, Regulatory, and General Rate Case services by monitoring and analyzing state and ISO/RTO clean energy activities. 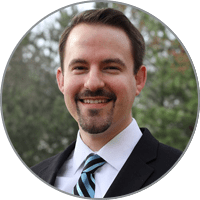 Prior to joining EQ, Ben worked as a Policy Analyst at the N.C. Clean Energy Technology Center at N.C. State University, where he led The 50 States of Solar quarterly report series. He also provided outreach and technical assistance to local governments on reducing solar soft costs through the U.S. Department of Energy’s SunShot Solar Outreach Partnership and contributed to the nationally recognized DSIRE project. Standards and Requirements for Solar Equipment, Installation, and Licensing and Certification: A Guide for States and Municipalities. Published by the Clean Energy States Alliance, Keyes & Fox LLP, and EQ Research. 2017. Envisioning Pennsylvania’s Energy Future. Published by EQ Research, Synapse Energy Economics, and Delaware Riverkeeper Network. 2016. Comparing Utility Interconnection Timelines for Small-Scale Solar PV, 2nd Edition. Published by EQ Research. 2016. The 50 States of Soar: 2015 Policy Review and Q4 Quarterly Report, lead author. Published by N.C. Clean Energy Technology Center, February 2016. Homeowner’s Guide to the Federal Investment Tax Credit for Solar PV, lead author. Published by Solar Outreach Partnership, updated December 2015. Commercial Guide to the Federal Investment Tax Credit for Solar PV, lead author. Published by Solar Outreach Partnership, updated December 2015. Delaware Goes Solar: A Guide for Residential Customers, co-author. Published by Solar Outreach Partnership, June 2015. Solar on Multi-Unit Buildings: Policy and Financing Options to Address Split Incentives, lead author. Published by Solar Outreach Partnership, February 2015.